Muskoka is the perfect vacation spot to build a gazebo for many reasons. Maybe it's the abundant lakes and rivers flowing with water, or the vast area of forest and walking ground, or maybe it's the crisp cool air and eating fresh fish. Either way a gazebo in Muskoka is the perfect place to relax, unwind and enjoy nature. 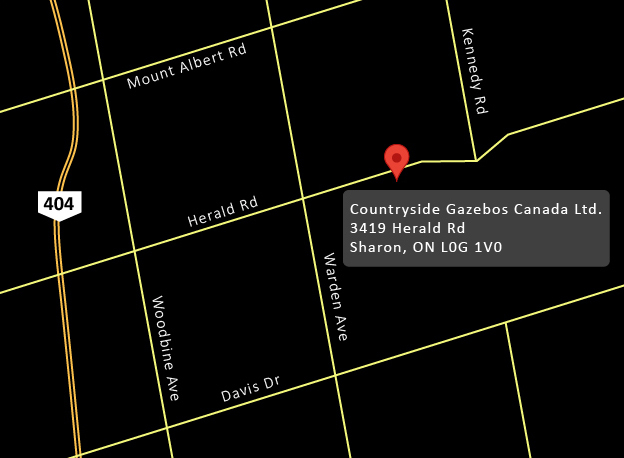 That is what Countryside Gazebos Canada is all about. At Countryside Gazebos Canada we specialize in quality crafted gazebos with personal touches that make a world of difference. Our gazebo window screens stop the flying bugs from tormenting you, while our under floor screens keep the bugs from creeping up from underneath. Our easy to use online quoting system allows you to get an idea of exactly what kind of gazebo in Muskoka you want. Answer questions on where you plan to put your gazebo, how many people you plan to have in it at one time, what it will be used for and whether the gazebo will be an entertaining area or simply a personal space to relax and enjoy the surroundings. 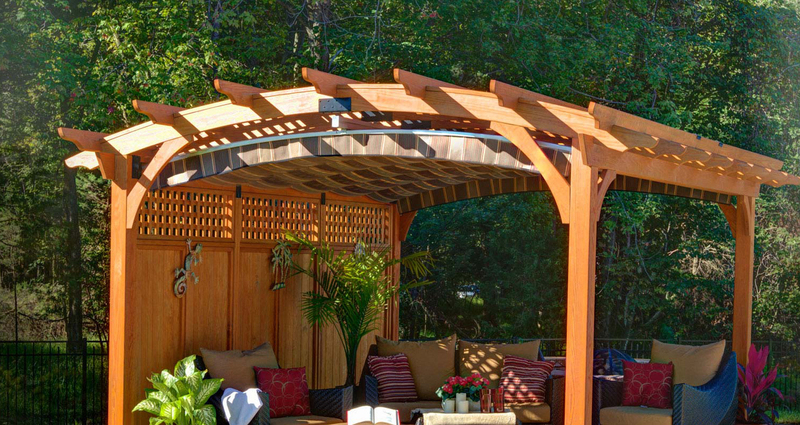 Our online quoting system will then help you determine the perfect Muskoka gazebo for you. Our online visuals will give you creative ideas and allow you to choose the type of gazebo you would like, and our quoting system will allow you to get a quote on your perfect gazebo in Muskoka. If you have any questions or would prefer to speak to us directly you can contact us at 905-841-0612.